The MP2 AWD “All Wheel Drive” edition is now available for order. The MP2 AWD represents a big step forward for the Mesh Potato. It is based on the same core as the MP2 Phone and is packaged in an outdoor enclosure with additional features and capabilities, most notably a second radio capable of 2T2R (MIMO) operation on 2.4 and 5GHz bands. It also has an internal USB port as well as an SD card slot. This opens up the possibilities for innovation. The SD slot can host cached content such as World Possible’s Rachel Offline project or any locally important content. 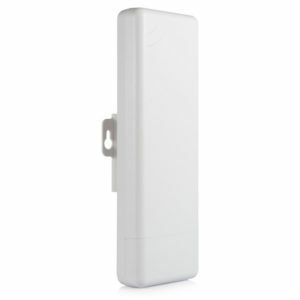 The USB port is available for a variety of uses such as 3G/4G modem for backhaul or backup. The MP2 AWD is also easier to deploy than previous models as power, data, and telephony have been integrated into a single ethernet connection thanks to the PoE/TL adaptor that is shipped with the device. Now both phone, data, and power are all served via a single cable. The default user setup for the MP2 AWD is to use the 2.4GHz radio for local hotspot access and the 5GHz radio to create the backbone network on the mesh but it can be configured to suit a variety of scenarios. A second radio module based on the MediaTek/Ralink RT5572 chipset which supports IEEE 802.11bgn 2T2R (2×2 MIMO) operation on 2.4 and 5 GHz bands. Internal SD card slot capable of supporting local content serving, data caching, and general data storage applications. Internal USB port which can be used for a memory device , GSM 3/4G dongle or other USB devices. Available for order now on the Village Telco store. This entry was posted on Friday, November 4th, 2016 at 4:21 pm and is filed under Blog, Mesh Potato, Village Telco. You can follow any responses to this entry through the RSS 2.0 feed. You can leave a response, or trackback from your own site.